Coopering is a time-­honoured craft that is thought to predate the Roman age. While whisky-­making processes are becoming increasingly mechanised, apprentice coopers learn traditional techniques in an intense and thorough training course that lasts four years. 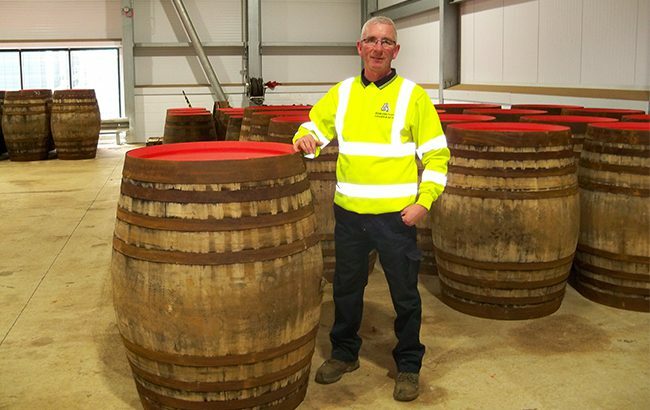 “Good fitness and being able to work with hand tools, as well as having an eye for detail, are key skills I use to make sure the casks I produce are of the highest quality,” says Kevin Arthur, who has worked at Edrington for 20 years, starting as a general worker at its Lochwinnoch cooperage before becoming a cooper based at The Macallan’s new £140 million (US$180m) distillery. Workers such as Arthur are therefore integral to Edrington’s core ethos. “I take my role very seriously and make sure that only the very best quality casks are going to be used for The Macallan,” he says.